Edo State Governor, Mr. Godwin Obaseki, has finally inked a deal with the Vice President of China Harbour Engineering Company (CHEC), Li Yi, for the development of the Benin River Port in Gelegele area of the state. Both parties also signed the final investment agreement to develop the Benin Industrial Park with CHEC as well as the pact to develop a modular refinery in the state. Edo State and expands the scope of business opportunities for both parties. Speaking to journalists at the Nigerian Embassy in Beijing, China, after signing the investment agreement on the development of the Benin River Port, a visibly elated Governor Obaseki, said the agreement includes the building of a port on the Benin River, dredging of the river, which is a channel of about 40 kilometres, and the construction of a link road to the Benin bye-pass. He said the Benin River Port, when completed, will link the Lekki Deep Seaport, help decongest the ports in Lagos State and open up Edo State to the international market by serving as a platform for import and export trade. “We are investing massively on agriculture, particularly in areas like oil palm, rubber, cassava, fruits and all range of agricultural produce which need to be processed and exported outside the country. “There are companies operating in the state and are seeking to export their products. The port will provide opportunity not only to export agricultural produce, but, also, some of the products that are now being manufactured in our area. “Another advantage is that once you create the infrastructure, there is the possibility that other industries would spring up in the state. This opportunity is going to rapidly help in diversifying the economy of Nigeria,” he said. The Benin Industrial Park is expected to create over 170,000 direct and indirect jobs on completion, and will be home to over 1,000 companies and will generate an excess of over $3 billion annually. Before departing Benin City for China, Obaseki approved the release of N700 million for the Benin Refinery project. 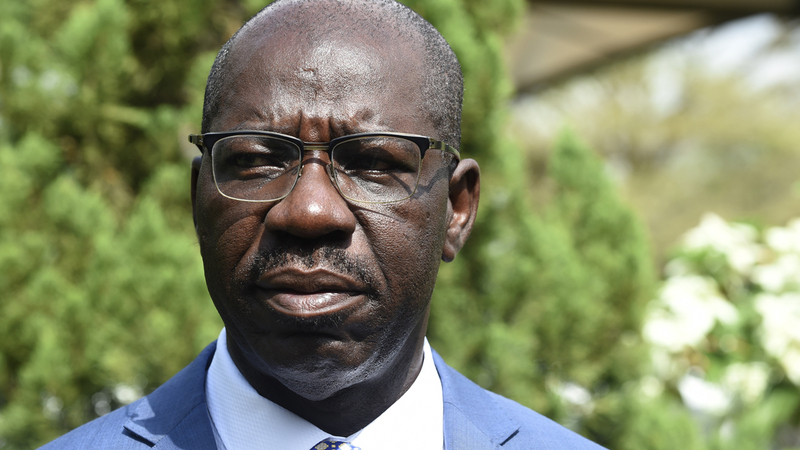 Governor Obaseki said his administration’s investment drive in China and elsewhere, was conceived to steer the state away from dependence on oil and set it on the path of prosperity, anchored on a solid industrial base. “We are excited about the modular refinery project, and the project is going to transform the state’s economy and position us as a hub for fabrication of refinery parts with the setting up of fabrication yard, to groom local capacity in that sector,” the governor said.